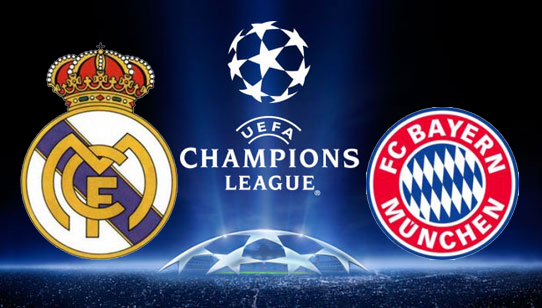 Home News UCL: 5 reasons why Bayern Munich will defeat Real Madrid Tomorrow. Tomorrow, the Allianz Arena will host the first leg of the semifinals between Real Madrid and the Bavarians. Zinedine Zidane’s men are eyeing a historic third consecutive UEFA Champions League title – a trophy that will make this season a success. Meanwhile, Bayern Munich are looking for yet another treble season with the league already in the bag and the club entering the DFB Pokal final last week. Bayern Munich will be eyeing revenge as it was Real Madrid who dumped them out of Europe last season with a 6-3 aggregate. But the situation has turned altogether for the Munich side, right from a change in manager to the side looking more settled than before. The Allianz Arena has always been an intimidating ground to visit for any side. Currently, Bayern Munich are unbeaten at home since last April and have been steamrolling past teams at home this season. In their last two home games, Bayern Munich have scored an astonishing total of 11 goals. Jupp Heynckes has also won 14 out of his 16 UEFA Champions League matches at the Allianz Arena which can be considered to be a good omen going into the first leg. In those 16 matches, Heynckes’ men have scored 48 goals and conceded just 10. Though Real Madrid have won on their last two visits to Bayern Munich, the situation has taken a turn for the good for the Bavarians. They have won 19 out of their 22 matches at home this season and look like a different side, and a terrifying prospect when playing in front of their supporters. Previous article5 players who can break Ronaldo-Messi Ballon d’Or dominance. Next article5 La Liga records that neither Messi or Ronaldo will EVER break.